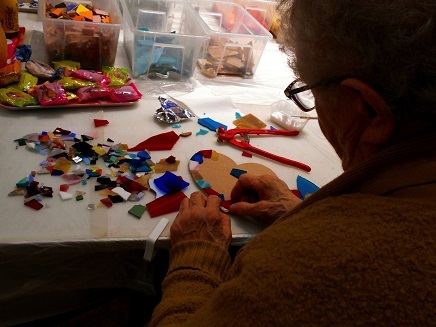 “Tell me and I forget, teach me and I may remember, involve me and I learn” (Benjamin Franklin). 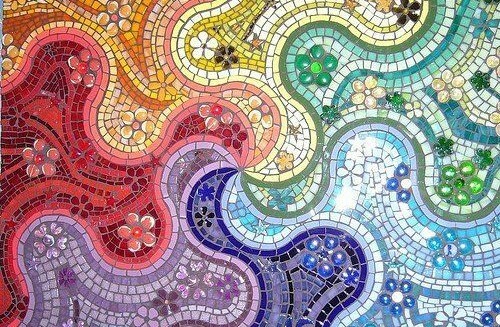 Design your piece of artwork. A nice memory to take home. 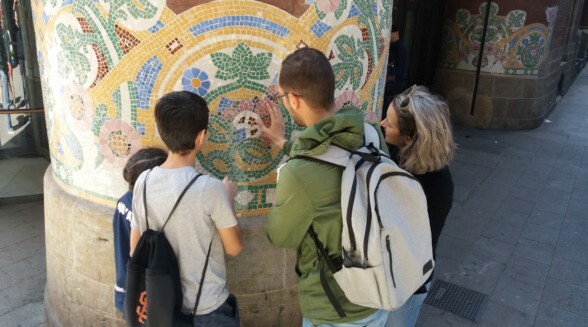 Tour description: Discover the most emblematic Gaudí and modernism buildings (from outside) in central Barcelona in a walking tour. 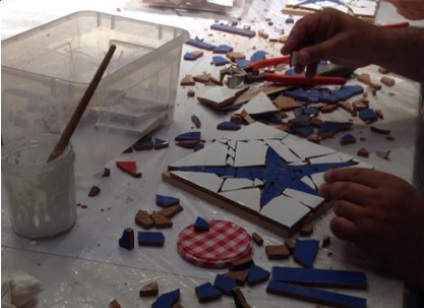 Later on, attend an special workshop class and learn how to make a mosaic in the Catalan style all by yourself. 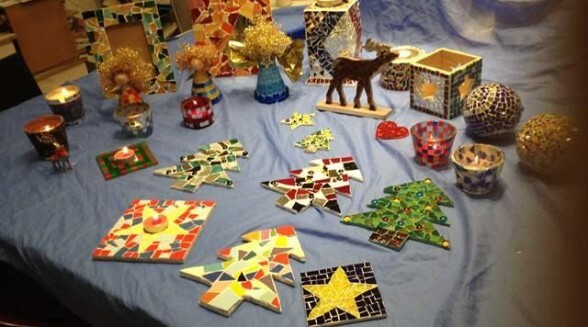 You and your experienced art teacher will impart the necessary skills to master the “El Trencadis” technique (mosaics composed of pieces of broken tiles), which was developed by Antoni Gaudí and Josep María Jujol, and familiarize you with other mosaic techniques. 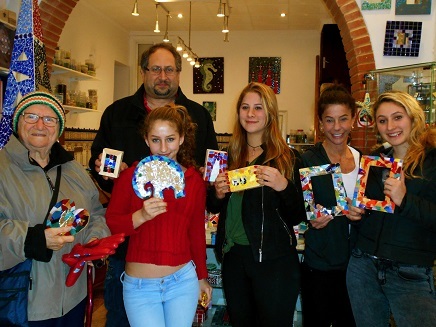 The artisan will introduce you to the millennial Mosaic Art in this 2hour workshop. So, let your imagination and creativity run wild! 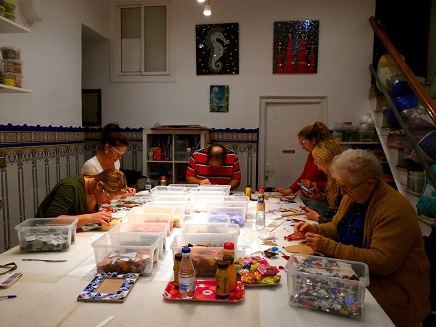 Every participant designs his/her own piece of artwork – a nice memory to take home, quite apart from the unique experience. 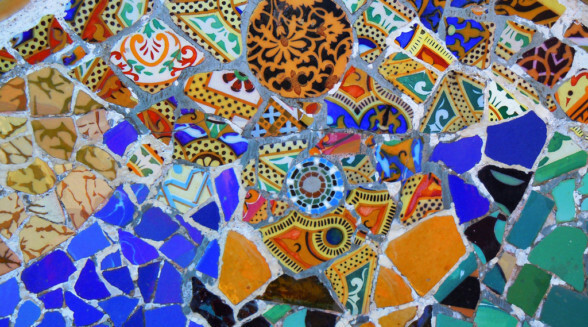 Inclusions: 1,5h Gaudí walking tour, art teacher, personalized experience, souvenir pictures, all materials needed (like glass, ceramics, objects like photo-frame, mirror, coaster… are included), create your own mosaic masterpiece (technique developed by Antonio Gaudí) and take it home. 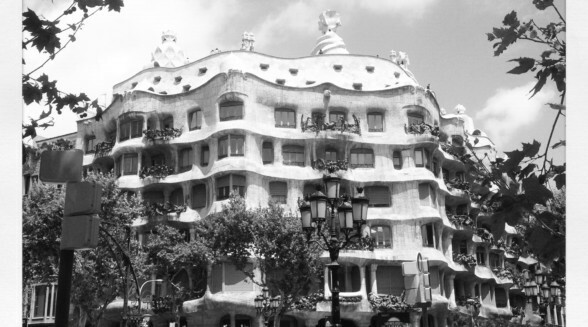 Location: The Art studio is located in Barcelona, in the famous and beautiful district EL BORN. Minimum 2 pax per booking. 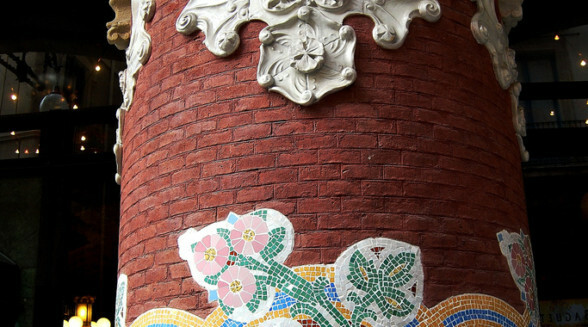 Barbara took us through the architectural part of Gaudi, but also surprised us with the most personal part of Gaudí, how he lived, how he was, as he thought, with small anecdotes that make you remember much better in the end. 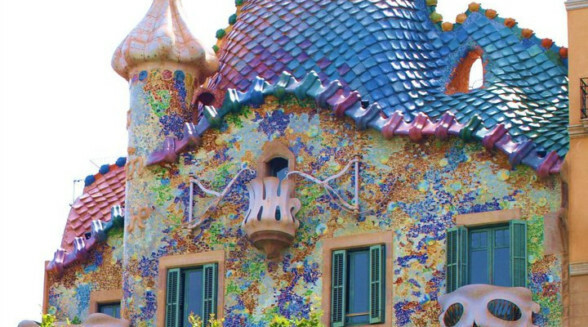 During 1h and a half you are immersed in the Modernism and the life of Gaudi, then we finish the tour doing a work of “trancades”, that with the explanations of the instructor and the knowledge that we learned during our walk with Barbara, we ended up doing some beautiful works to hang on the wall of my house, I’m sure our friends will die of envy! 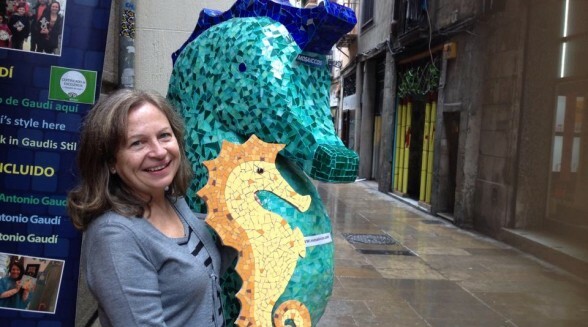 I highly recommend this tour and I thank our guide for being as she is. My son had fun and enjoyed our guide’s company, Barbara. She did an amazing job dealing with my son as she also has a nephew that is 4 years old. “Muchas gracias por las fotos y por el feedback! !